In the tradition of Ricard’s bestseller The Monk and The Philosopher comes a book that explores some of humanity’s enduring philosophical questions. Invites readers into an intimate and insightful conversation between Buddhist monk and author Matthieu Ricard, philosopher Alexandre Jollien, and psychiatrist Dr. Christophe André. 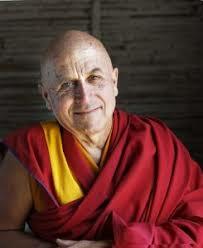 Matthieu Ricard is a Buddhist monk and has authored several books, including The Monk and the Philosopher and The Quantum and the Lotus. He is a major participant in the research collaboration between cognitive scientists and Buddhist practitioners, spearheaded by the Dalai Lama and the Mind and Life Institute. Ricard is a noted translator and photographer, and initiates and oversees humanitarian projects in India, Tibet, and Nepal.